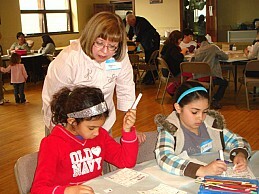 Children and adults from several Orthodox communities in the New York State Capital District and Saratoga County gathered for their annual Lenten Youth Retreat on Saturday, 31 March at Saint Basil’s Greek Orthodox Church in Troy NY. For more than fifteen years, with encouragement from the clergy of the Saint Andrew’s Brotherhood, families have participated together each year in this day of worship and fellowship. Approximately fifty-five children and many adults enjoyed an afternoon of crafts, followed by the celebration of Great Vespers. 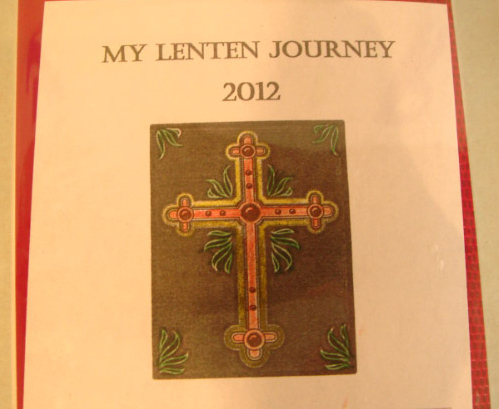 The crafts were suitable for all ages and designed to focus on “Our Lenten Journey,” especially Holy Week and PASCHA. New to the activities this year was a time set aside for all to have an opportunity to ask questions of the priests present. Following Great Vespers, a delicious meal was enjoyed by all.